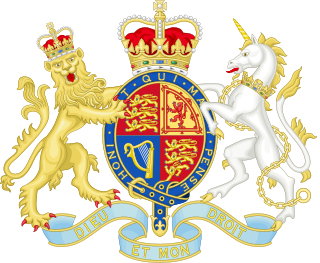 The Country Bankers Act 1826 was an Act of the Parliament of the United Kingdom enacted during the reign of George IV. The Act restricted the issue of banknotes by commercial banks in England and Wales. It relaxed some of the laws of the Bank of England Act 1709, allowing joint-stock banks with more than six partners to issue bank notes, as long as they were located more than 65 miles (105 km) from London. This Act also allowed the Bank of England to open branches in major provincial cities, enabling better distribution for its notes. The Country Bankers Act 1826 was one of the Bank Notes Acts 1826 to 1852. A banknote is a type of negotiable promissory note, made by a bank, payable to the bearer on demand. Banknotes were originally issued by commercial banks, which were legally required to redeem the notes for legal tender when presented to the chief cashier of the originating bank. 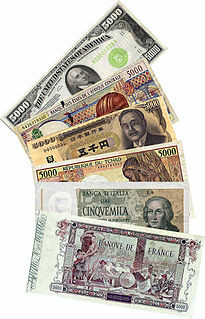 These commercial banknotes only traded at face value in the market served by the issuing bank. Commercial banknotes have primarily been replaced by national banknotes issued by central banks. 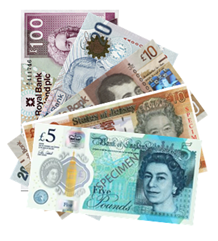 Sterling banknotes are the banknotes in circulation in the United Kingdom and its related territories, denominated in pounds sterling. The Banking Act 2009 is an Act of the Parliament of the United Kingdom that entered into force in part on the 21 February 2009 in order, amongst other things, to replace the Banking Act 2008. The Act makes provision for the nationalisation of banks, amends the law on bank insolvency and administration, and makes provision about the Financial Services Compensation Scheme. It also makes provision about the regulation of inter-bank payment schemes, amends the law on the issue of banknotes by Scottish and Northern Irish banks, and makes other miscellaneous amendments to the law on banking. The Royal Bank of Scotland £20 note is a banknote of the pound sterling. It is the third largest denomination of banknote issued by The Royal Bank of Scotland. The current cotton note, first issued in 1987 bears an image of Lord Ilay, one of the founders of the bank, on the obverse and a vignette of Brodick Castle on the reverse. The Royal Bank of Scotland £100 note is a banknote of the pound sterling. It is the largest denomination of banknote issued by The Royal Bank of Scotland. The current cotton note, first issued in 1987 bears an image of Lord Ilay, one of the founders of the bank, on the obverse and a vignette of Balmoral Castle on the reverse. The Royal Bank of Scotland £1 note is a banknote of the pound sterling. It is the smallest denomination of banknote issued by The Royal Bank of Scotland. The current cotton note, first issued in 1987 bears an image of Lord Ilay, one of the founders of the bank, on the obverse and a vignette of Edinburgh Castle on the reverse.